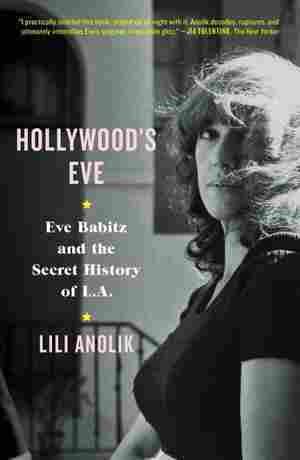 Hollywood's Eve NPR coverage of Hollywood's Eve: Eve Babitz and the Secret History of L.A. by Lili Anolik. News, author interviews, critics' picks and more. A portrait of the Hollywood artist details the iconic photograph that catapulted Eve Babitz to notoriety, her high-profile affairs, her unheralded literary achievements, her years in seclusion, and her recent re-emergence. Hollywood's Eve isn't a biography—at least not in the traditional sense. It won't attempt to impose narrative structure and logic on life, which is (mostly) incoherent and irrational, lived moment-by-moment and instinctively rather than by grand design and purposefully; or to provide explanations, which (mostly) dull and diminish; or to reach conclusions, which are (mostly) hollow and false. In other words, it doesn't believe, or expect you to, that facts, dates, timelines, firsthand accounts, verifiable sources tell the tale. Here's what Hollywood's Eve is: a biography in the nontraditional sense; a case history as well as a cultural; a critical appreciation; a sociological study; a psychological commentary; a noir-style mystery; a memoir in disguise; and a philosophical investigation as contrary, speculative, and unresolved as its subject. Here's what Hollywood's Eve is above all else: a love story. The lover, me. The love object, Eve Babitz, the louche, wayward, headlong, hidden genius of Los Angeles. A book can be infatuated—hopelessly, helplessly, heedlessly—same as a person. I'm telling you this not as a way of asking for allowances, but for understanding. In the following pages, things might get a little heated, a little weird, a little out of hand. Now you know why.